Gardening Club started three years ago. Since then we have grown lots of beautiful flowers, many types of vegetables (including purple carrots and yellow courgettes) and lots lots more. We have had a chance to taste our produce but we have also given some of harvest to provide food for the homeless in High Wycombe. We have taken part in several competitions: We won prizes from the Red Kite housing association and each year we enter the Potato Councils (gyop.potato.org.uk) growing competition, so far we haven’t won but we have enjoyed sampling the potatoes at the end of the season. Last year we entered the Royal Horticultural Societies (www.rhs.org.uk) ‘Scarecrow competition’ and were invited to take our scarecrow to Hampton Court flower show. We had a fantastic experience visiting on Monday (celebrity and press day), talking to exhibitors and viewing the show gardens. Sadly we didn’t win first prize but we will definitely be entering again next year. We have links with several organisations including the RSPB (www.rspb.org.uk) and every year we take part in the ‘Big School’s Bird Watch’. 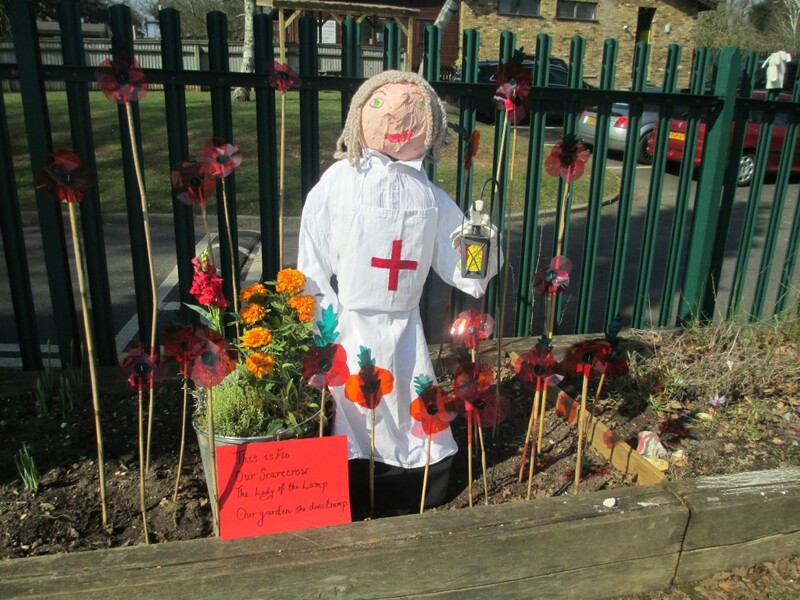 Gardening Club is open to any child from year 1. It is led by Ms Roome with the help of some wonderful volunteers (it wouldn’t happen without them). It takes place on a Tuesday lunch time.